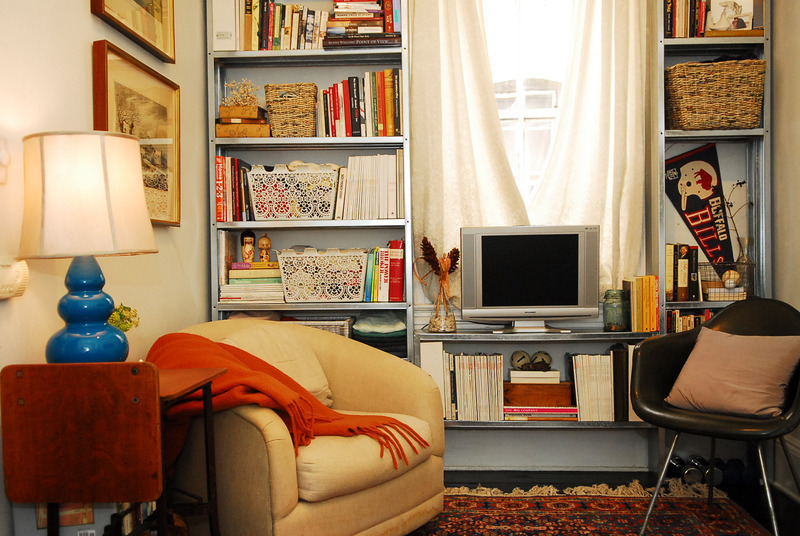 Secret to Small-Space Living: Edit! Edit! Edit! Q: Do you have any advice for people who live in tiny spaces like me? My studio apartment is just 25 x 30 feet. That's 750 square feet! How do I fit my life into 750 square feet? Can you help? You always write about people with humongous homes! New Yorkers scrimp along in rooms that make Harry Potter's under-stair digs look almost palatial. But not everyone complains. Meet design student Andrea Brodfuehrer, who has called a 325-square-foot apartment home for the past eight years and now shares it with her husband Pat, who moved in three years ago. Andrea also studies at the New York School of Interior Design and works at home. Plus, "We host dinner parties and entertain weekend guests," she vows. "The key is discipline and self-editing. If something comes in, something must go out. It makes life less complicated — our things tend not to overwhelm us," Andrea says. You're looking at one end of the living room in the photo we show here. Look closely and see how one can almost touch both walls in the tiny space. But thanks to their restraint and proactive de-accessioning policy (plus the 11-foot ceilings in the old pre-war building), the couple's apartment never feels claustrophobic, Andrea says. It nicely "supports their daily lives." Chairs move around easily; furniture pieces serve multiple functions: The baker's cabinet, for example, is "part console, part desk, part pantry," she points out. Much of the Brodfuehrers' furniture has been salvaged, either from antique marts or off the curb ("recycling" is a great New York sport, even among the well-off: The late Albert Hadley, scion of the design industry, was famous for stopping cabs and racing back to rescue a curbside castaway). There are also many sources for double-duty furniture and pieces engineered to make the most of minimum space. One is the aptly named Resource Furniture (www.resourcefurniture.com), which offers cutting-edge Italian contemporary design in "transformable" furniture units: beds that fold down over sofas, walls that slide to reveal storage - things like that. And, of course, there's always the Murphy bed, l00-plus years old but still the big news in small-space living (www.murphybed.com). Q: How big should a rug be under a dining room table? My aunt has given us an old family table that's larger than the one we've had for years. When you pull out the chairs, the back feet go off the rug. Is that OK or do we need a new larger rug? A: There are many things in this world that should never look too small or too short. Men's trousers, for one example; pants bottoms should just break over the shoes. Long curtains should skirt the floor, not end partway down the wall. And rugs under tables should be sufficiently large that the chairs can push back without falling off the rug. Send your too-small rug to duty in a bedroom and treat yourself to a new, in-proportion rug to go in that prime spot under your new old table. Small can be beautiful: All 325 square feet are well lived in and loved in this tiny New York City apartment. Photo: Mollie Vogt-Welch. 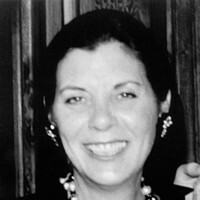 Rose Bennett Gilbert is the co-author of "Manhattan Style" and six other books on interior design. To find out more about Rose Bennett Gilbert and read features by Creators Syndicate writers and cartoonists, visit the Creators syndicate website at www.CREATORS.com.